Ishaat Hussain is Director of Tata Sons Ltd. He joined the Board of Tata Sons as an Executive Director on July 1, 1999, and thereafter he became Finance Director in July 28, 2000. Prior to joining Tata Sons, he was the Senior Vice President and Executive Director – Finance, at Tata Steel for almost 10 years. Born on September 2, 1947, Mr. Hussain completed his schooling from The Doon School in 1963 and graduated with a degree in Economics from St. Stephens College Delhi. A chartered accountant from England and Wales, Ishaat Hussain attended the Advanced Management Program at the Harvard Business School. 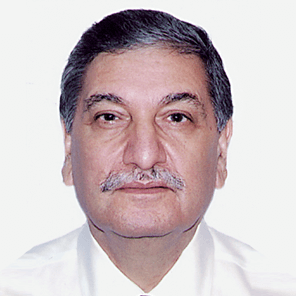 He joined the board of the Indian Tube Company (a Tata Steel associate company) in 1981. Thereafter, he moved to Tata Steel in 1983 after Indian Tube was merged with Tata Steel. Besides being on the board of Tata Sons Limited, he is Chairman of Voltas Limited and Tata Sky Limited. He is also on the boards of several Tata Companies such as Tata Steel, Tata Industries, Tata Teleservices, Titan Industries Limited. Mr Hussain is a member of the Securities and Exchange Board of India (SEBI) committees on insider trading and primary capital markets. He is also a member of the Confederation of Indian Industries finance committee. In April 2005, Hussain was appointed a member of the Board of Trade, and in November 2006, he was appointed a Public Interest Director of Bombay Stock Exchange Limited. In January 2008, he was appointed a Trustee on the board of India Foundation for the Arts (IFA).